On the trials of a Badger… | YarnPaint! Despite the fact that I have several other projects in the works, this little guy popped into my head today and wouldn’t leave me alone until I agreed to start working on him. Several misstarts later, I finally feel like it’s heading in the correct direction! And, no, I’m not a great artist. It would be wise to point out here, though, for anyone who is interested in designing, or for old hands at it to commiserate with me, that some days designing comes along easily. Other days…not so much. I’ve had some patterns that have almost seemed to work themselves and look perfect without much stress or frogging all the work back to the beginning. (Again and again and again…) And then you might have a little Badger who, you hope will look cute, but you just struggle with how to accomplish it. In the end, you can only hope it will be worth it. But you know it will certainly be a learning experience, if nothing else. Final thing, did everyone see the new, lovely line of crochet thread from Knit Picks? 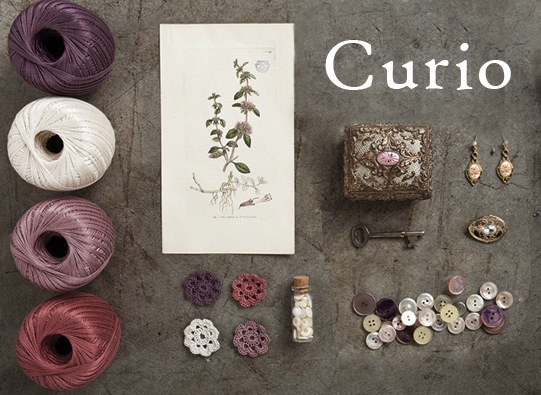 It’s called Curio and some of the colors are very beautiful. I’m thinking that next time I need crochet thread I might have to try some of this. It would be good for lace crochet as well as tatting! I feel you on the designing aspects. And thanks for mentioning Curio. I will use that for my new patterns!